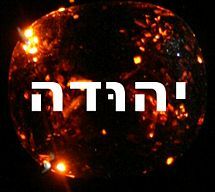 Zedekiah (Hebrew: צדקיה, Ẓiḏqiyāh; "Name means::YHWH is righteous") or Mattaniah (Hebrew: מתניה, Mattanyāh; "Name means::gift of YHWH") (620-r. 599-588 BC according to Ussher or 618-r. 597-586 BC according to Thiele), was the nineteenth, and last, king of the Kingdom of Judah of Israel. He is best known for losing Jerusalem to Nebuchadnezzar II, who ordered his chief-of-staff to burn it to the ground (2_Kings 25:8-10 ). But he is also known for the most flagrant physical and personal abuse of a prophet, short of ordering that prophet's execution, that any king of Judah or Israel ever committed. His birth name was Mattanyahu or Mattaniah, meaning "gift of God." He was the youngest of the four named sons of Josiah and the second named son by Josiah's wife Hamutal. Three brothers preceded him; their names were Johanan, Jehoiakim, and Jehoahaz (1_Chronicles 3:15 ). He had an unknown number of sons, but all his sons would eventually perish by the sword (although the Book of Mormon would allege that one son of his, named Mulek, would escape, cross the Atlantic Ocean and found a nation that would figure in an alleged pre-history of the United States). Mattaniah grew up during one of the most turbulent periods in the ancient Middle East, that saw the decline of Assyria as a world power, the rise of Babylonia, and the displacement and temporary conquest of Egypt. Six years before Mattaniah was born, Nabopolassar had, according to James Ussher, led an allied Medo-Chaldean army against Nineveh, capital of Assyria, and reduced it to a ruin. (Most conventional Assyriologists assert that the attack on Nineveh took place in 612 BC, and that another city, called Haran, fell in 610 BC.) When Mattaniah was ten years old, Pharaoh Necho II made an unsuccessful attempt to thwart the rising of Babylon by joining his forces with the remnants of the Assyrian army. King Josiah made an ill-advised attempt to stop him in the Megiddo valley, and as a result he, and probably his eldest son with him, were killed in action (2_Kings 23:29-30 , 2_Chronicles 35:20-25 ). Jehoahaz II took the throne quickly, but three months later, Necho deposed him and set up Mattaniah's other brother Eliakim, who then took the name Jehoiakim, to reign instead. (2_Kings 23:31-34 , 2_Chronicles 36:1-4 ) Jehoiakim had been on the throne for only three years when Nebuchadnezzar II (whom Ussher says was made viceroy of Babylonia at this time) came from the east and besieged Jerusalem for the first time. Jehoiakim pledged his allegiance to Nebuchadnezzar, who then marched to Carchemish, captured it, chased Necho back to Egypt, and captured many Egyptian lands. Within three years Jehoiakim rebelled against Nebuchadnezzar. (2_Kings 24:1 ) He probably hoped that Necho II would support him. Necho did in fact challenge Nebuchadnezzar, who barely won the resulting action and had to retire to Babylon to rebuild his forces. But in due course Nebuchadnezzar was back. Jehoiakim died and his body was left exposed, (Jeremiah 22:19 ) and Jehoiakim's son Jehoiachin reigned for a hundred days afterward. Jehoiachin was as rebellious as his father had been, and Nebuchadnezzar came with a very large force that convinced Jehoiachin to surrender immediately (2_Kings 24:8-16 , 2_Chronicles 36:9-10 ). At this time, no one, including Nebuchadnezzar, had any realistic expectation of more trouble from the Egyptian quarter. But that situation would eventually change. Necho had died in 600 BC (conventional Egyptologists suggest that he lived to 595 BC), and his son Psammtik II had succeeded him. While Psammtik would not give Nebuchadnezzar any trouble, Psammtik's son Apries, known in the Bible as Hophra, would. On March 24, 597 BC, Nebuchadnezzar placed Mattaniah on the throne in the eighth year of his, Nebuchadnezzar's reign. (2_Kings 24:18 ). He changed Mattaniah's name to Zedekiah, meaning justice of God, and compelled Zedekiah to swear an oath of allegiance to him in God's Name (2_Chronicles 36:13 ). Zedekiah showed little regard for God, and even less for the promises he made. The Bible plainly accuses him of doing "evil in the sight of YHWH." Not only he, but virtually the entire priestly class committed multiple sacrileges and other offenses, including the ceremonial pollution of the Temple of Jerusalem (2_Chronicles 36:14 ). Jeremiah advised Zedekiah—and also the kings of Moab, Ammon, Sidon, and Tyre—to submit to Nebuchadnezzar and stop listening to psychics and astrologers who repeatedly advised Zedekiah and the other kings not to submit. Zedekiah regarded Jeremiah as a disruptive influence. Then, within a year of his assuming the throne, he received what he must have regarded as confirmation. Zedekiah had sent three messengers to Babylon with a letter from him to Nebuchadnezzar. Those messengers now (596 BC) came back with another letter from Seraiah, a man among the deportees who traveled with Jehoiachin. (This was probably the high priest Seraiah, whom Nebuchadnezzar would eventually execute.) In that letter, Seraiah accused Jeremiah of encouraging the deportees to disaffect from their old country and, in essence, defect to Nebuchadnezzar's Babylonia. In fact, all that Jeremiah encouraged the deportees to do was to conduct themselves as proper lawful and law-abiding residents of Babylon, and to await the proper season for their return, which would occur after a mandated seventy-year period had elapsed for the land of Israel to have its sabbaths. (Ussher counted this from 607 BC; Jones counts it from 586 BC and the actual Fall of Jerusalem.) Jeremiah also said that the deportees would have far greater blessing than those who were still in the Kingdom of Judah territory at the time (or perhaps that those now left behind were more accursed). In the fifth month of Zedekiah's fourth regnal year (593 BC), a prophet named Hananiah gave Zedekiah a word of encouragement: that within two years' time all the Temple furnishings, which Nebuchadnezzar had taken away, and all the deportees would return home. Jeremiah said, presumably in the presence of the king, that people might believe the peace that Hananiah now prophesied when they saw it. Hananiah persisted in his message by taking off Jeremiah's neck the symbolic wooden yoke he was wearing and breaking it. Jeremiah then said that instead of that wooden yoke, God would make a yoke of iron to place on the necks of all the nations of the region. In Zedekiah's first year, representatives from Moab, Ammon, Tyre, and Sidon visited Zedekiah and apparently proposed an alliance (Jeremiah 27:1-3 ). Jeremiah warned specifically that such a coalition would never succeed. Little or nothing seems to have come of these meetings until much later. In 594 BC according to Ussher (perhaps actually 593 BC), Pharaoh Psammtik II died, and his son Apries began a twenty-five-year reign. Very rapidly Apries marched out of Egypt and into Phoenicia, where he captured Sidon before returning to Egypt with a great load of booty. He was that Pharaoh-hophra in whom Zedekiah would repose his trust as he now, in this year, rebelled against Nebuchadnezzar and suspended payment of his annual tribute. (Thiele's supporters insist that Apries did not succeed Psammtik II until 588 BC, two years before the Fall of Jerusalem. This would be in accord with the role that Apries/Hophra is said to have played in delaying Nebuchadnezzar. But this does not explain nearly as well the political change that suggested to Zedekiah that rebellion might actually succeed. After all, in Thiele's system, Apries/Hophra did not take command until the ninth year of Zedekiah's reign—and Zedekiah was plotting rebellion and sending secret messages to Egypt long before this). Three years later was a sabbatical year, when the law required the Israelites to set their slaves free. (Jeremiah 34:8-10 ) In that year Nebuchadnezzar came into the Kingdom of Judah and captured all the fortified cities except Lachish, Azekah, and Jerusalem. In mid-winter, Nebuchadnezzar invested Jerusalem and built fortresses all around it. Now Jeremiah predicted that Nebuchadnezzar would capture Jerusalem, arrest Zedekiah, and deport him, but that Zedekiah would die peacefully and have a proper burial. Furious, Zedekiah had Jeremiah imprisoned for sedition. The slaveowners apparently set their slaves free, as the sabbatical law required. Then Apries came in force to attack Nebuchadnezzar. Nebuchadnezzar had to break off his siege to deal with Apries. Nebuchadnezzar did send 832 prisoners to Babylon before he fought against Apries and chased him away. While Nebuchadnezzar was dealing with Apries, the slaveowners of Jerusalem forced their slaves back into their previous condition of servitude. Jeremiah reprimanded them severely for this, and said that their only chance to escape arrest and possible execution at the hands of the Chaldeans was to release their slaves (Jeremiah 34:11-22 ). Jeremiah then tried to escape, but the nobles stopped him at the gate. Jeremiah was thrown into a dungeon, but eventually transferred to the court of the king's prison house. Zedekiah repeatedly asked Jeremiah for prophecies during this time. Jeremiah's answer was always the same: that the Kingdom of Judah was doomed, and that everyone ought to submit to Nebuchadnezzar, who had direct license from God to conquer the kingdom. The princes were outraged and accused Jeremiah of high treason. They asked Zedekiah for permission to execute him, and Zedekiah told the nobles to do with Jeremiah as they saw fit. So they lowered Jeremiah into a muddy dungeon. But an Ethiopian named Ebedmelech warned Zedekiah not to let Jeremiah die of starvation and thirst, so Zedekiah ordered Jeremiah lifted out of the mudhole and kept in the court. There Jeremiah remained until the city fell (Jeremiah 39:15-18 ). Nebuchadnezzar II was back in 587 BC and, according to Ussher and Jones, now began a siege that lasted precisely 390 days—exactly the number of years since the Division of the Kingdom between Kings Rehoboam and Jeroboam I (Ezekiel 4:4-6 , Jeremiah 52:1-11 ). During this time, famine set in, and eventually the city had no food within it at all. Finally Nebuchadnezzar's army breached the walls and entered the city. Zedekiah and all the soldiers fled by night. This, however, was unavailing. A Chaldean war patrol chased them, caught them, and brought them to Nebuchadnezzar's camp at Riblah. There Nebuchadnezzar forced Zedekiah to watch as he executed all of Zedekiah's sons, and executed the high priest Seraiah, his associate, and three officers of the Temple. (2_Kings 25:18-21 ) Nebuchadnezzar then had Zedekiah blinded and chained for deportation to Babylon. In that city, after an unknown number of years, Zedekiah died, a miserable and broken man. The Deuterocanonical book of 2 Maccabees says that Jeremiah removed the Ark of the Covenant to a secret location in Jerusalem. In 1998, the amateur archaeologist Ron Wyatt claimed to have determined where the Ark is located, in a place that his supporters call "Zedekiah's Cave." In fact, Jeremiah said during the reign of Josiah (Jeremiah 3:16 ) that the Ark would not be needed any longer. The Ark has never been seen again since the destruction of the Temple of Jerusalem by Nebuchadnezzar II. In 2008, archaeologists excavating near the building repeatedly identified as King David's palace found a clay bulla belonging to Gedalyahu ben Pashhur, one of Zedekiah's courtiers whom Jeremiah specifically named (Jeremiah 38:1 ). ↑ 5.0 5.1 5.2 Jones, Floyd N., The Chronology of the Old Testament, Green Forest, AR: Master Books, 2003, Chart 5. ↑ 6.0 6.1 6.2 6.3 6.4 Anonymous, "Entry for Zedekiah," Holy Spirit Interactive. Retrieved April 16, 2007. ↑ Jeff Lindsay, "Mulek, Son of Zedekiah," Book of Mormon Nuggets, May 15, 2004. Retrieved April 16, 2007. ↑ Intellectual Reserve, Inc., "Index for Zedekiah," The Official Scriptures of the Church of Jesus Christ of Latter-day Saints, 2006. Retrieved April 16, 2007. ↑ Intellectual Reserve, Inc., "Bible Dictionary Entry for Zedekiah," The Official Scriptures of the Church of Jesus Christ of Latter-day Saints, 2006. Retrieved April 16, 2007. ↑ Ussher, op. cit., pghh. 769-70, 774-5. ↑ Wood, op. cit., p. 317. ↑ 14.0 14.1 14.2 "Zedekiah." Encyclopædia Britannica. 2007. Encyclopædia Britannica Online. Retrieved April 16, 2007. ↑ 15.0 15.1 15.2 15.3 "King Zedekiah - Biography." The Kings of Israel. Retrieved April 16, 2007. ↑ 17.0 17.1 17.2 17.3 17.4 Matthew G. Easton and Paul S. Taylor, "Zedekiah," WebBible Encyclopedia, retrieved April 16, 2007. ↑ 18.0 18.1 18.2 "Entry for Zedekiah", The Columbia Electronic Encyclopedia.© 1994, 2000-2006, on Infoplease. © 2000–2007 Pearson Education, publishing as Infoplease. Retrieved April 16, 2007. ↑ 20.0 20.1 20.2 20.3 "Entry for Zedekiah." The Columbia Encyclopedia, 6th ed. New York: Columbia University Press, 2000. Retrieved April 16, 2007. ↑ 21.0 21.1 21.2 21.3 21.4 Anonymous. "Entry for Zedekiah". The Classic Encyclopedia. Retrieved April 16, 2007. ↑ 23.00 23.01 23.02 23.03 23.04 23.05 23.06 23.07 23.08 23.09 23.10 23.11 Genung, John Franklin. "Entry for ZEDEKIAH (2)". International Standard Bible Encyclopedia, James Orr, M.A., D.D. gen. ed. 1915. Retrieved April 16, 2007. ↑ Anonymous, "Zedekiah's Cave," ArkDiscovery.com. Retrieved April 16, 2007. This site contains a fanciful and highly dubious account describing six "Levite" men who descended into the cave, penetrated to within sight of the Ark, and then met death at the hands of angels. ↑ Bushinsky, Jay. "Clay seal connects to Bible." Washington Times, October 1, 2008. Accessed October 2, 2008.